Single-parent families and two-parent families that rely on both incomes may work and homeschool in order to make ends meet. Other families work while homeschooling in order to pay for homeschool books, supplies and activities. When deciding to work and homeschool, set clear goals. Figure out how much money you will need to accomplish your goals and how much time you will have to spend working in order to earn that amount. Consider the ages of your children and whether or not they can spend portions of time unsupervised. If your children are young, do you have safe childcare available? Can your child spend time with a trusted friend or family member? Can you take your child with you to work? Some homeschooling parents are able to continue working outside of their homes by working opposite shifts from their spouses, working part-time, job sharing or taking their kids with them to work. Others decide to work at home while homeschooling. Follow these links to find information on work at home mom jobs in virtual call centers, starting a home based business, opportunities in direct sales, and working at home online. Be clear about your reasons for working and homeschooling. Knowing why you are homeschooling will help you remain focused and committed when times get tough. Remember that money is just a tool you are using to help you reach your goals. Don't let pursuit of income overshadow your desire to to provide your children with a healthy home environment and a great education. Start with the basics of reading, writing and arithmetic. Don't give in to pressure to add extra subjects until you are ready. Your can successfully homeschool your children even if you never teach Latin or art history. Also be careful not to burden your family with too many outside activities. Find homeschooling method that works for you. Some families prefer structured textbook, computer or DVD programs that come with pre-planned lessons and allow children to work independently. Other families prefer a relaxed style of homeschooling that teaches through everyday activities, such as letting children help with cooking, chores, budgeting and the family business. Remember, your home does not have to resemble a traditional classroom. Many homeschool students are able to complete their coursework in as little as 2-4 hours per day. Self teaching is a great way to homeschool for the working mom. Set daily and weekly goals for your children and teach them how to manage their time. By working independently, your children are learning self-motivation and responsibility, and developing a strong work ethic. Find ways to multi-task. Read aloud to your child at bedtime or mealtimes. Have educational discussions or review coursework over dinner. Teach your child using audio books, documentaries and computer resources. Time spent commuting to and from activities can be valuable teaching time. Here are some tips and ideas for carschooling. Create a schedule that works for your family. Some parents do school first thing in the mornings, leaving the afternoon free to work. Others have teaching times on evenings and weekends. Don't feel you must cover every subject every day. Subjects like art, history and science can be covered in one or two days per week. Be flexible and make adjustments where necessary. Let your older children help your younger children. Take frequent breaks while working to interact with your children and answer questions. Allow your spouse or other trusted adults to teach some subjects in their area of specialty. If your children are with a friend or family member while you work, create a packet of independent work for them to complete while they are away. Your child can also learn through homeschooling coops, support groups, and classes at musuems and libraries. You can squeeze in work time while your children attend these activities and other events. Make time for fun activities, field trip and outings. Limit your work day to specific hours. When the clock says your time is up, put your work away. There will always be just one more thing to do. Spend these precious years enjoying your children. 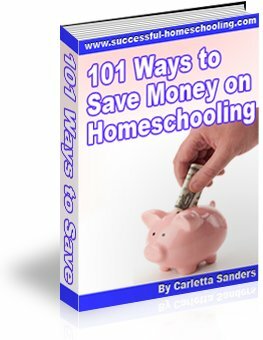 In addition to working and homeschooling, find ways to reduce the need for extra income by reading this information on affordable homeschooling. Here are some tips on scheduling, organization and finding balance for moms who work at home.